The story has emerged of the real-life Saving Private Ryan – four brothers who went to war 100 years ago and only ONE. came home. Privates William, George, Ernest and Harry Rea all went to the front line of the Great War – but only Harry survived. William, of the Bedfordshire Regiment, lost his life in the Battle of Passchendaele on September 14, 1917. His two siblings George and Ernest were killed shortly before him, while his other brother Harry survived. Raised in Kempsey, Worcestershire, the four brothers all worked at the Hill, Evans & Co vinegar manufacturers in Worcester. They all went to war but only Harry survived – echoing the plot of the Speilberg film Saving Private Ryan. William’s 76-year-old grandson Michael said: “William died in a hospital in Bethune [France] when he was 35. He was shot through the lungs. BROTHERS: (From left to right) Harry Rea, Private George Rea, William Rea and Ernest Rea. “He left behind one kid – my dad, Reginald. It’s a wonderful bit of history that wants recognising. Nearly one million British soldiers were killed in battle during the First World War, also known as the Great War. Michael Rea, who developed an interest in his family history as he got older, said his dad never told him anything about his father. 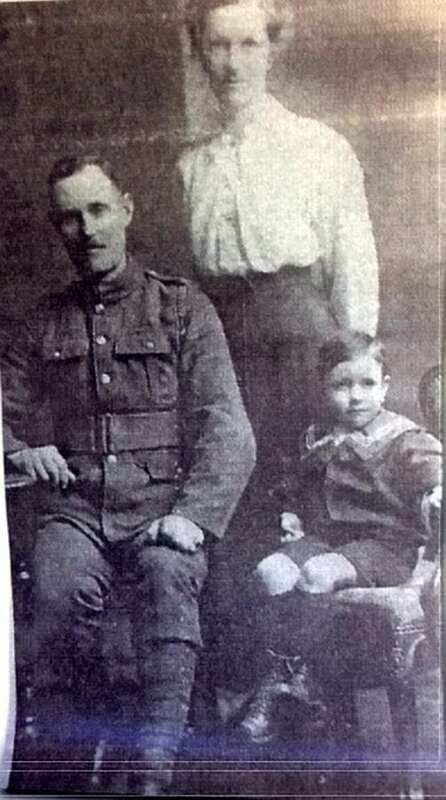 Michael Rea’s father, Reginald (right), with his mum and dad, William. Private George Rea fought with the 2nd Battalion, Private Ernest Rea belonged to the Worcestershire Regiment and Gunner Harry Rea was in the Royal Garrison Artillery. Ernest died aged 21 after being shot through the head at the Battle of the Somme in 1917, while George, 33, lost his life in Ypres on September 1, 1917.